… Ah. There really wasn’t much to laugh about, was there? Anyway, welcome back to our weekly Top 10, ladies and gentlemen, where we take a topic that you choose and we choose the best of the best in that category. Today’s subject is a little bit experimental, as we’re going to be looking at our Top 10 Mad Scientists and write up our thesis about their potentials for the top spot. We’ve taken a lot of candidates and we felt like we’d do something a bit different for this one. 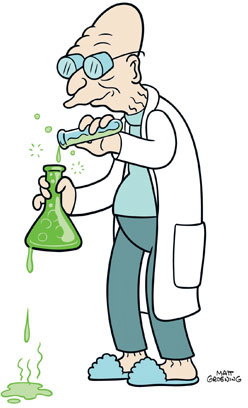 We’ve put a pinch of this and a dash of that together to give birth to a list which shows off the best of the best of these mad scientists. Creation is a powerful tool; so let’s see what these scientists can bring to life! Captain of the 12th Division of the Soul Society’s militarised wing of Shinigami, dedicated to hunting the hollow and damned souls who still stalk the living world, and who’s vast counterparts dwell in their own little demi-plane and covetously eye the realm of mortals. The devastating powers of the greater Hollows like the Menos Grande and the Espada require the use of increasingly terrible weapons to use against them. Enter the head of the science division, who is a brilliant master of biology and chemistry, implementing toxins and biological engineering to create defences and countermeasures of awesome potency. But he is waaaay off his rocker. He has no regard for life, evaluating everyone by their use as a test subject, including his second in command and hand-made “daughter” Nemu. Even his own mortal shell is just a plaything for his twisted brain, keeping his organs and inner workings in jars… somewhere, having greatly improved on his own design. 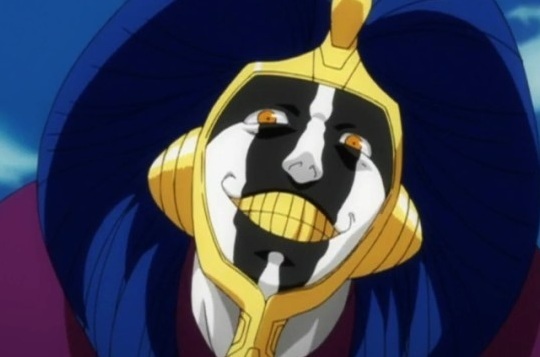 When faced with an Espada with the power to destroy organs with only a “voodoo” doll, he feigns his own death by vomiting blood and folding at hideous angles, before standing, laughing it off, and straight up butchering the creature with barely a thought to the others who were suffering around him. Frickin’ sharks with laser beams attached to their heads! Okay, so let me start by explaining that Doctor Evil is actually not always the one who creates; but he’s often the brains behind the operations. Sure he’s not exactly the smartest brain behind the operations, that probably belongs to his son, but he’s definitely amongst the most dangerous minds around. 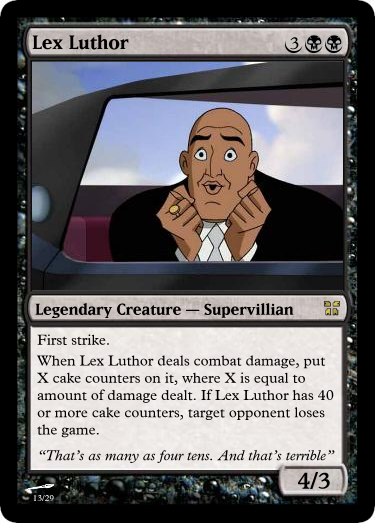 In fact, Doctor Evil probably is one of the least intelligent geniuses to have ever existed in all media. You see, he’s rich as all heck (Somehow); He has legions of minions (Somehow); He has friends (Somehow) and (Somehow) he manages to do some pretty crazy things, such as intimidate the president of the United States of America, by playing footage from Independence Day. He’s not the brightest, but so long as he has access to so many people to build his crazy ideas, he’s going to keep on doing evil things. Now if only he would stop being interrupted by Austin Powers – Time to steal his mojo! 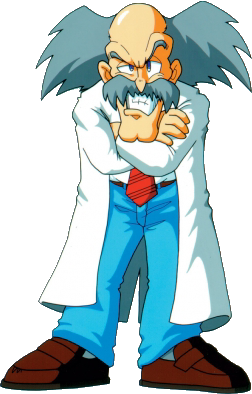 Probably the epitome of a cranky old man, Dr. Wily is one crazy, creative scientist who managed to turn something good into something terrible. You see, Wily wasn’t always a cranky old man; instead he was once a colleague of the esteemed Dr. Light, a scientist who created robots for the betterment of mankind. Unfortunately, Wily being under his wing meant that Wily knew how those robots worked and was able to reprogram them into something much more sinister and evil. I guess, when your surname is ‘Wily’ you know you’re going to be trouble. He’s actually had some degree of success, come to think of it. You see in the original game, he was actually taking over the world with the robots he stole. In the second game, he created his own robots to try and take over the world. In the third, he pretended to have changed his ways, whilst still manipulating robots. In the fourth game he captured an esteemed scientist’s daughter – and so on and so forth. If there’s nothing else to say about him, Wily somehow always manages to bounce back after being defeated by Rockman/Mega Man. 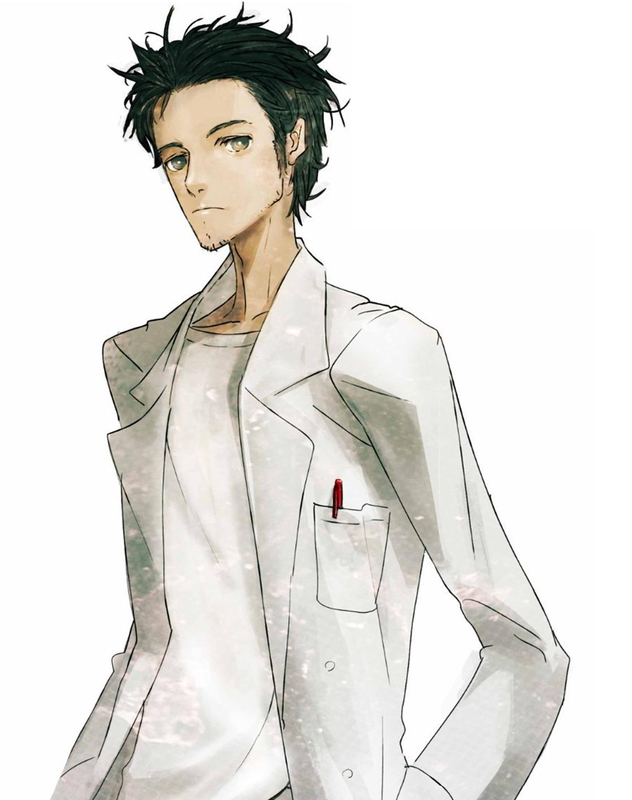 Former Nazi scientist and master of cybernetic enhancement, dangerous biochemistry, and highly illegal sciences, Algernop Krieger works for the worst intelligence agency in the world, formerly known as ISIS (but undergoing several facelifts due to unfortunate connections with a present day organisation, you get the idea). Krieger has a catalogue of horrifying creations to his name, a pig/human hybrid, a goat/human hybrid, a crazy killer cyborg with multiple personalities, and some of the most messed up hallucinogens. There are many questions best not asked about Krieger, many of which he has asked “Is it technically murder if they’re my clones?” and what happens to the hobos who he invites in for free meals, and what exactly happened to Len Trexler. Despite having never technically earned a qualification, Krieger is alarmingly intelligent, wildly unhinged, and a possible clone of Hitler himself. Probably better off under Malory Archer’s control than back in Brazil though. Doctor Frank-N-Furter, from transexual Transylvania, is an absolute genius madman who lives in a massive manor far away from most city life. In fact, when newly engaged couple Janet and Brad have a flat tyre, they notice the manor is the only place that they can get to. Thinking they could manage calling someone to come and replace their tyre, they’re invited in and are made to enjoy the customs of Doctor Frank-N-Furter himself, who takes extra special interest in the pair of them. Frank-N-Furter claims to have found the secret of life itself; claiming that he was able to make a living being. He wasn’t lying, as he managed to make Rocky come to life; His vision of a perfect man. 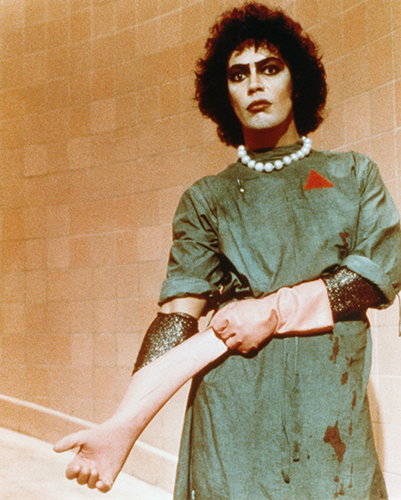 Say what you want about Rocky Horror Picture Show, but Frank-N-Furter is a true classic staple of Sci-Fi goodness. Of course, he is quite a parody of a certain “Ugly monster” which we’ll be talking about later in this Top 10, but my goodness, if I could look as good as Frank-N-Furter whilst making life, I know I would! Farnsworth is a god amongst machines in a very real sense, and has created life on numerous occasions. The man’s senility coupled with his tendency to tinker with the fabric of reality makes for a rather daunting mix, and may indeed have been forced to destroy and recreate the universe or perform some similarly horrifying task to cover up some even more terrible blunder! And he may do it again without a second thought… but he is already in his pyjamas. So that’s good news I suppose. 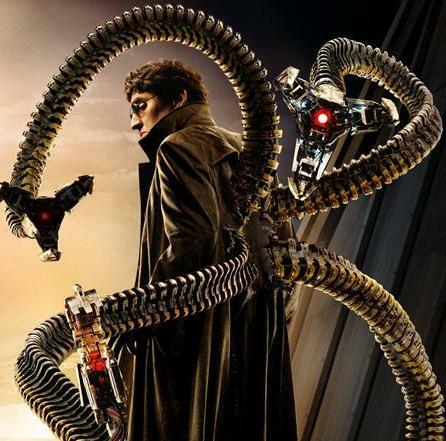 A megalomaniac who’s body has irreversibly fused with the mechanical tentacles that he uses to manipulate radioactive and dangerous substances, Doctor Octopus is possessed of a determination to achieve great scientific achievements and damn the consequences or who is harmed or what master is served along the way. The classic Spider-Man nemesis was superbly brought to life by Alfred Molina with a subtly different adaption, but can we please talk about the whole mind-swapping thing that happened in the comics? Octavius managed to implant Peter Parker’s mind into his own decaying corpse (long story) and take the place of Spider-Man. After being forced to understand what made Spidey a hero, the life he’d led, Otto decided, not only to take up the mantle of the Wall Crawler, but to be an even better version! Superior Spider-Man, complete with mechanical spider-limbs! Seriously for quite some time now the Spider-Man of the comics has been the brain of one of his biggest nemeses riding around in Parker’s body. Kinda weird, kinda cool, all mad science! This may be a few too many exclamation marks for a single paragraph, but damn Marvel, that’s some seriously crazy narrative. 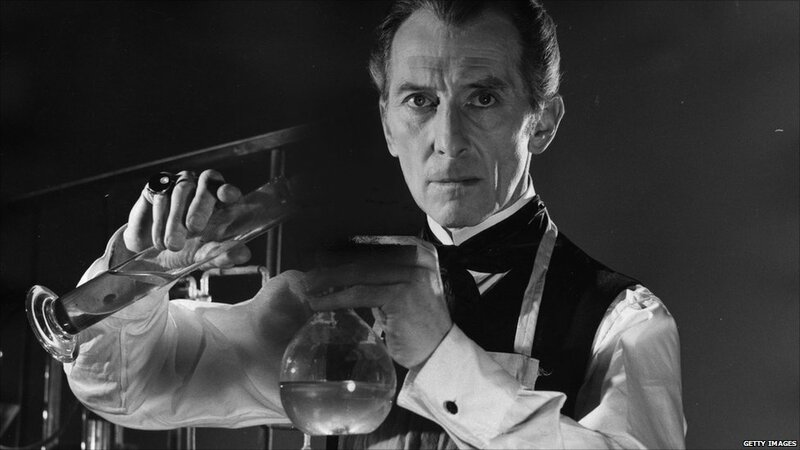 How are you supposed to choose the best mad scientist from classic literature? We didn’t. We’ll make our cases for our favourites; you choose who’s just crazy enough for the number 3 slot. Doctor Victor Frankenstein is a scientist who studied chemical processes for a living, when he suddenly came across a way to effectively create life itself. From understanding how living beings decay, along with a morbid fascination for how to create life in an inanimate object, Victor set about making a humanoid. Now, presumably, Victor stole body pieces, or at least was donated them but this is never really fully described. Victor creates Frankenstein itself (or Frankenstein’s Monster as it’s often referred to) and whilst an impressive feat, he is mortified with what he’s created. He wanted to make life; but he didn’t expect it to be so ugly a being. Fleeing his creature, Victor lives with the regret of making his monster, who went around murdering. They say you cannot kill what you did not create, but they rarely tell you that what you create may kill you. Henry Jekyll’s greatest achievement in life was proving that man is capable of tremendous goodness and terrible evil. In an effort to separate, control, and ultimately destroy the evil side of man he creates an alternate personality, a wholly different creature within his own mind made of his darkest urges. Edward Hyde is a monster by deed only (not the freakish mutant that pop culture seems to have conjured up by NOT READING THE BOOK), beating men to death, indulging every dark urge with a strength born of unbridled rage. 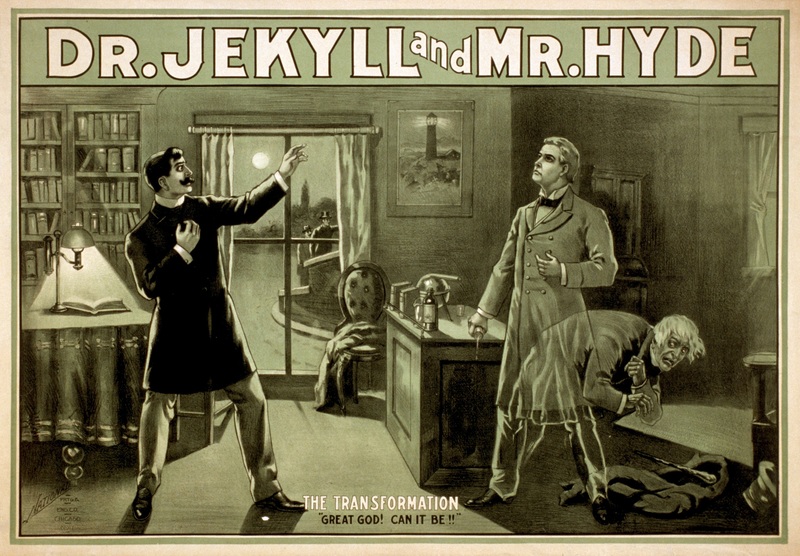 If we’re talking about the creators of classic monsters, Frankenstein may have had a mishap toying with the nature of life, but Jekyll found out how to unleash the monster that dwells within all of us. In the end of course, the sweet and loving side of himself that remained chose to make the ultimate sacrifice to spare everyone the wrath of Hyde. Maybe not quite so mad all told, but y’know, still pretty out there. It’d be negligent not to list these two side by side in the same entry, as Roiland and Harmon have never hidden the parody origins of Rick and Morty. Emmet Brown may not be quite so unhinged as his caricature but his lunatic devotion to his craft makes him rather dangerous. Building a time machine out of an old Delorian and taking a hormonal teenager back in time with him was dangerous to begin with, but from there the two just seem to enjoy toying with reality! 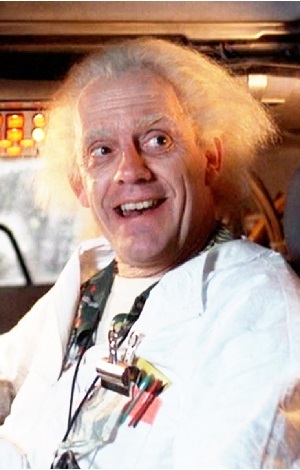 They spend the subsequent movies generating every paradox that geeks and nerds would deliberate for years to come, but that may not be the end of Doc Brown’s legacy. 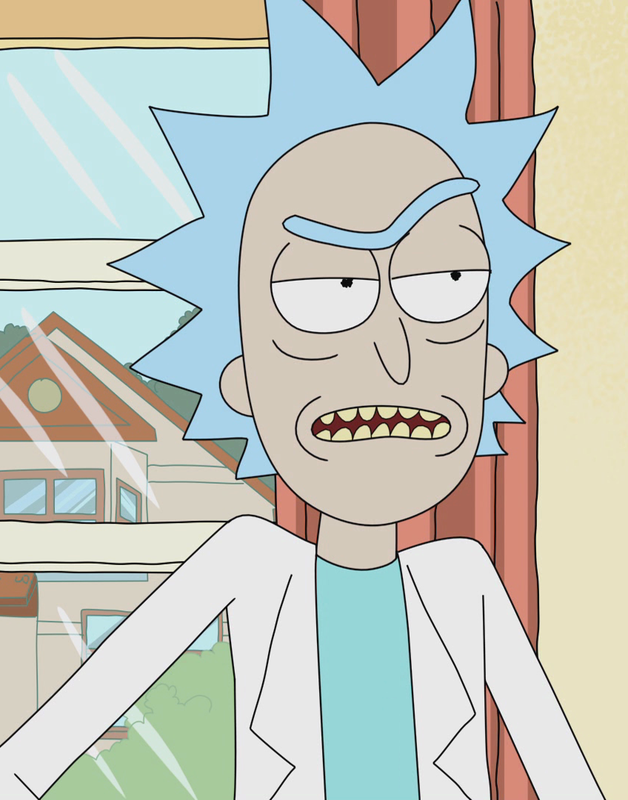 Rick Sanchez began life as a drunken parody of Emmet, but has become something unknowably terrible. Wanted by every major government in the known multiverse, including one his many duplicates formed among themselves, Rick may no longer be from his own universe, in fact he may have changed his family for an exact copy repeatedly. He’s an embattled veteran of terrible wars, a convict of the most secure prison in existence, and has fought against the galactic government, the council of Ricks and the devil himself. No doubt which is the madder scientist, but you can’t fairly separate the two. 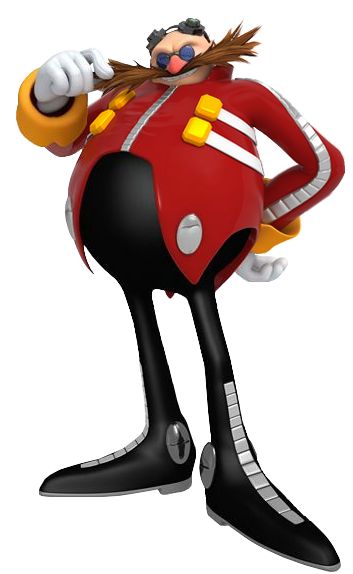 Doctor Ivo Eggman, or Robotnik depending on what you’re used to, is one evil, evil man with a glorious mustache. He’s usually seen flying around the place in a strange pod called The Egg Mobile; or the Egg-Pod… Or– Y’know, let’s not list all of the names right now. The point is, he flies around in this strange pod, has some very cool theme tunes dedicated to his flying around and he’s got a very freakish obsession with trying to kill off a blue hedgehog, as well as capturing woodlands creatures. Sure, it doesn’t sound all that mad, but when you think about the sheer volume of things he’s created, it’s a wonder where he gets all of his funding from. However as long as he has his Egg Mobile, he’ll always somehow manage to get out of any certain death situations. He’ll escape back to his hideouts, which includes a freakishly large battleship called The Egg Carrier… And he’ll just get on with his next invention. Love him, hate him, regardless it’s undeniable that he might not be far from the truth when he calls himself the world’s greatest scientist. Depending on the game, show, comic or otherwise, he can be quite the complex moral character. Whatever side he’s on, he’s always creative, always persistent and always dangerous. He’s definitely the maddest scientist on this list. Think of it like this; whilst all of the above scientists are thoroughly accomplished in their own rights, Robotnik has made robots, who create things that he dreams up. Robotnik then has created something that is able to aid him in creating more things for himself. This list was full of characters that we really didn’t want to forget about; so much so that we decided that for once, two slots on our honourable mentions just wasn’t enough. So here’s six honourable mentions that we even considered putting into our main Top 10 list itself. Remember that we’re going to make a Top 10 eBook? This entry will become an exclusive Top 20! Doctor Neo Cortex’s right-hand-man; definitely the science behind the evil masterminds plans. 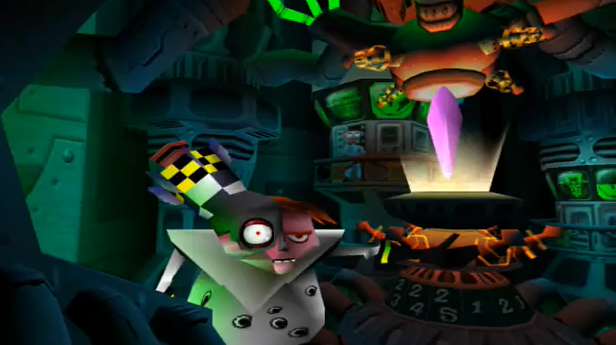 N. Gin replaces Doctor Biro after the events of the first Crash Bandicoot game. Being part cyborg himself, N. Gin has a natural affinity for learning about sciences and creating evil machines and lasers. He’s seriously dangerous and seemingly has a nuke stuck out of his head. He’s not one to be trifled with and in the events of Crash 2, he’s seen in a giant mech suit that he built. Crazy, inventive and dangerous – A bad-to-the-metal-bone mix. Okay, he’s not really a mad scientist, but he seems to think that he is. In all honesty, the amount of things Okabe has actually made could probably be counted on one hand. But he refers to himself as a mad scientist, which is “so cool”. But, even though he seems obsessed with branding himself in this way, he might not be far from the truth. He has extensive knowledge about time machines and he’s got a small team who are willing to help him with his strange, yet often interesting creations. This is one strange, strange man – But trust me when I say he’s hugely important for the story of Warcraft in general. He’s the mad scientist behind the development of all forms of blight, plague, ooze, scourge, and death delivery. You can find him in a 25-man raid in Icecrown Citadel’s Plagueworks wing. He may be a relatively simple throw-away character in the grand scheme of things, but really if he didn’t exist, the scourge may not have plagued the world of Azeroth as much as they had. 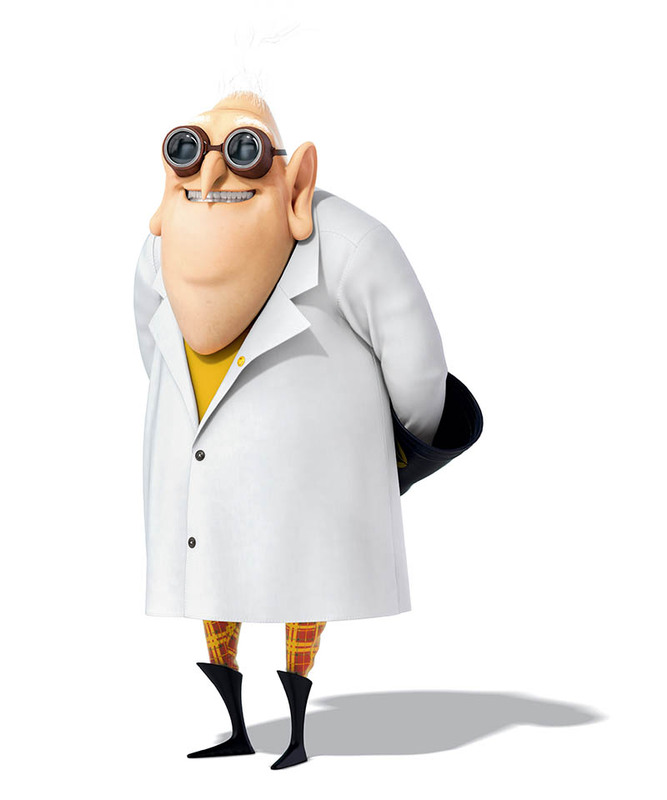 Long time colleague and mastermind behind the villain, Gru owes most of his success to Nefario’s various constructs and contraptions, as well as the horde of genetically engineered yellow bubbles of usefulness (whose blueprints can be seen on the wall in the kid’s room, the prequel is a lie!). Nefario’s days of villaining are behind him, but he’s content to work behind the scenes so long as his works are only used for evil. 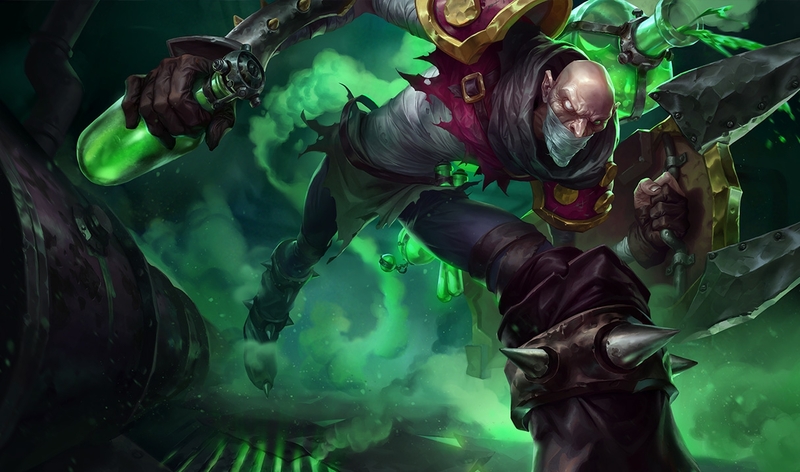 Literally called the Mad Chemist, Singed is one of the earliest League of Legends champions to have been introduced. He is a master chemist, so he’s great with toxins such as poison. He’s also pretty good with adhesives as well. He can slow his opponents down and just poison them; a slow brutal death. He’s able to handle himself pretty well in a fight, often favouring a slow, poisonous kill over an all out assault. He’s dangerous and can seriously change a team fight, as well as being durable in combat by himself. It can sometimes be easy to forget that business mogul and CEO of Lexcorp is not all business, but can pull off science when he needs to as well. 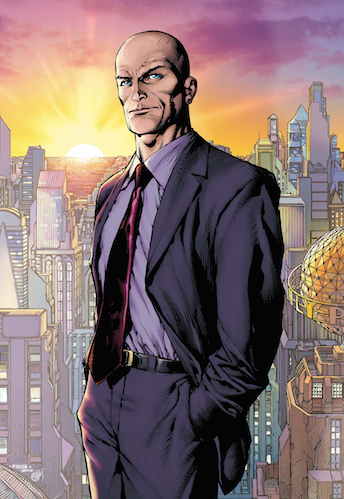 As a man on a mission to defeat a god, Luthor has mastered most fields of science and engineering, and constructed a suit of armour designed to tackle the Man of Steel himself. It’s no small feat, although his biggest to date may be stealing forty cakes. That’s as many as four tens. Everybody, cover your heads, there’s yet another assault on our cities by giant mechs! Send out those electronic pulses and switch them off – The monsters are alive and it’s all down to these mad men who got a taste of power… And they liked it. But science can be a very scary subject indeed – That’s why these men are so mad after all. They do what the rest of us could only dream to accomplish and it’s all because they have had that taste of power. Scary, to think that typically it’s age that makes you most mad. Our experiment was a complete success and we ended up producing more in our results than anticipated; They called us mad, they said it couldn’t be done, but we’ve now listed our Top 10 favourite Mad Scientists. A little bit sad, but we couldn’t remember any female mad scientists: is this a niche that just needs to be captured? Let us know if you know of any female mad scientists in the comments below, or why not let us know what you thought of this weeks Top 10? Did we get the right candidates in our list, or did we forget about the best scientists known? Do you agree with our order? As always, leave us a comment below, or over on Facebook, Twitter or Reddit. 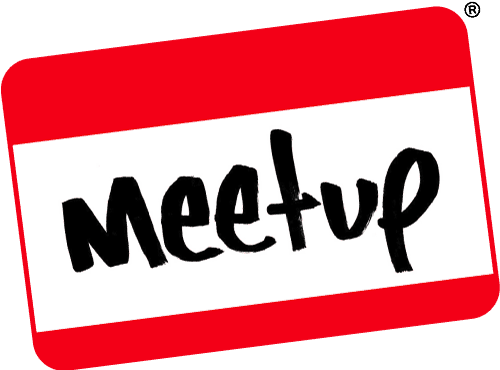 This entry was posted on May 20, 2017 by GeekOut Team. It was filed under Anime talk, Comics, Entertainment, Film, Gaming posts, Literature, Television, Top 10, Video Games and was tagged with Algernop Krieger, Archer, Austin Powers, back to the future, Best Mad Scientists, Bleach, Crash Bandicoot, Despicable Me, Doc Brown, Doctor Brown, Doctor Eggman, Doctor Evil, Doctor Nefario, Doctor Robotnik, Doctor Wily, Dr. Frankenstein, Dr. Jekyll, Dr. Wily, Eggman, Frank-N-Furter, Frankenstein, Futurama, Jekyll, League of Legends, Lex Luthor, Mad Chemist, Mad Scientists, Mad Scientists in Comics, Mad Scientists in Films, Mad Scientists in Literature, Mad Scientists in Video Games, Mayuri Kurotsuchi, Mega Man, Megaman, N. Gin, Okabe, Otto Octavius, Professor Farnsworth, Professor Putricide, Rick & Morty, Rick Sanchez, Rintaro Okabe, Robotnik, Rocky Horror Picture Show, Singed, Sonic, Spiderman, Steins;Gate, Superman, Top 10, World of Warcraft. Random idea: Not sure if it counts as mad scientist, but would Lusamine from Pokemon Sun and Moon count? I thought about that; but come to think of it, she’s not really a ‘science’ person herself. Instead, she’s always considered to be a ‘caring’ person (by her peers, until the whole, y’know, shenanigans of that game). She’s the president; but she likely gets others to do the science. She’s stonking rich, though. No love for Doctor Nefarious from Ratchet & Clank? Sad one here: I don’t know that franchise all that well. Meanwhile, my partner knows of the franchise pretty well (In fact, when we bought our PS4 together, I made sure we got the PS4 remake of Ratchet & Clank as he liked it in the past). Regardless, we don’t think he was a strong enough candidate to take out those on our list – but perhaps you’ll be different? Do you think he deserves a slot? If so – Where does he fit in your version of this list? :D We love to know what people think!